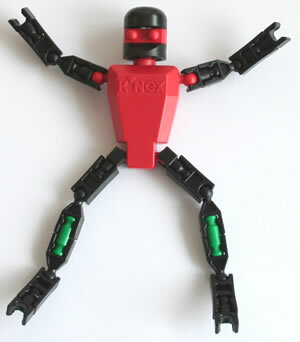 The weights listed below are the nett weight of the K'NEX parts or sets being shipped. All shipping costs shown for the UK and mainland Europe are exclusive of Value Added Tax (VAT). For orders up to 1900g, you can choose whether you want your order to be shipped by Post or by Express delivery. For orders above 1900g, orders can only be shipped by Express delivery. 2nd class post: £2.99 below 70g or £3.29 below 1900g. Delivery usually takes between 1 and 2 weeks. Orders sent by post cannot be tracked. 1st class post: £3.75 below 900g or £5.55 below 1900g. Delivery usually takes between 1 and 3 working days. Orders sent by post cannot be tracked. Express delivery: From £5.95. This is a 1 to 2 working day service, which is more reliable than 1st and 2nd class post, and can be tracked. We usually use UPS for Express delivery, except if the package is very small, when we may send the package via "Royal Mail Signed for". 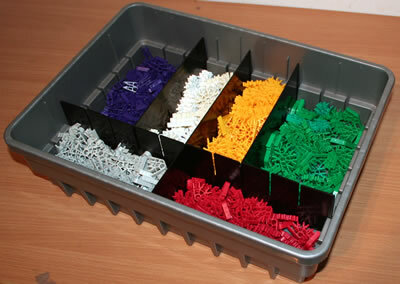 All K'NEX sets are shipped by carrier, directly from the K'NEX UK warehouse. Delivery typically takes up to 5 working days. Express delivery: From £7.35. This is a 2 to 3 working day service, which is more reliable than 1st and 2nd class post, and can be tracked. We usually use UPS for Express delivery, except if the package is very small, when we may send the package via "Royal Mail Signed for". All K'NEX sets are shipped by carrier, directly from the K'NEX UK warehouse. Delivery takes up to 5 working days. See "Shipping to Mainland Europe" below. 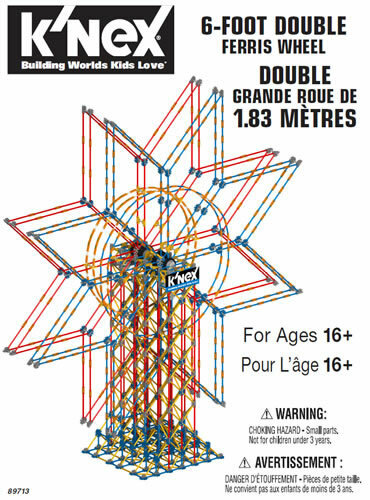 All K'NEX sets are shipped by carrier, directly from the K'NEX UK warehouse. Delivery takes up to 10 working days. For orders up to 1900g, you can choose whether you want your order to be shipped by Airmail or by Express delivery. For orders above 1900g, orders can only be shipped by Express delivery. Airmail (all countries): from 3.72 below 50g to 13.73 for 1900g. The usual delivery time for Airmail to mainland Europe is 1 to 2 weeks. However, occasionally Airmail deliveries will take longer than that. Please note that Airmail packages cannot be tracked. Delivery timescales for Express delivery are from 2 to 4 working days, depending on the distance from the UK. The delivery timescale for any order entered will be displayed on Checkout page 2 of 3. All Express deliveries can be tracked. 1. If your order weighs more than 28500g, you may be asked to email us for a shipping quotation. For orders up to 1900g, you can choose whether you want your order to be shipped by Airmail, by Surface mail or by Air Express. For orders weighing more than 1900g, we ship all orders by Air Express, or you can arrange for your own shipping. Costs vary from $5.53 below 90g to $24.43 for 1900g. The shipping cost and delivery timescale for any order entered will be displayed on Checkout page 2 of 3. The advertised time for delivery of Airmail to the USA or Canada is 2 to 3 weeks. However, occasionally Airmail deliveries will take longer than that. Airmail packages cannot be tracked. Costs vary from $6.93 below 225g to $16.87 for 1900g. The shipping cost and delivery timescale for any order entered will be displayed on Checkout page 2 of 3. The advertised time for delivery of Surface mail to the USA or Canada is "up to 6 weeks". However, occasionally Surface mail deliveries will take longer than that. Surface mail packages cannot be tracked. The minimum price for orders sent by Air Express is $30.72. The advertised time for delivery of Air Express packages to the USA or Canada is between 2 and 4 working days. However, occasionally deliveries will take longer than that. All orders sent by Air Express can be tracked. For larger orders, you are welcome to arrange your own shipping, including collection from our offices in the UK. For orders up to 1900g, you can choose whether you want your order to be shipped by Airmail, by Air Express, or (to some countries) by Surface mail. For orders weighing more than 1900g, we ship all orders by Air Express, or you can arrange for your own shipping. Airmail (all countries): Costs vary from £3.95 below 90g to £19.20 for 1900g. The shipping cost and delivery timescale for any order entered will be displayed on Checkout page 2 of 3. The advertised time for delivery of Airmail is 1 to 3 weeks. However, occasionally Airmail deliveries will take longer than that. Please note that packages sent by Airmail cannot be tracked. Costs vary from £4.95 below 225g to £12.05 for 1900g. The shipping cost and delivery timescale for any order entered will be displayed on Checkout page 2 of 3. The advertised time for delivery of Surface mail is "up to 12 weeks". However, occasionally Surface mail deliveries will take longer than that. The website will calculate the cost of shipping by Air Express automatically up to 29Kg for most of the larger countries outside Europe and North America. The shipping cost and delivery timescale will be displayed on Checkout page 2 of 3. If your order weighs more than 29Kg (in larger countries) or above 1900g (in any other country) in the Rest of the World, you will be asked to email us for a quotation for shipping by Air Express. For larger orders above 1900g, you are welcome to arrange your own shipping, including collection from our offices in the UK.